The Steering Group consists of representatives of the German Ministry of Environment, the German Environment Agency, the Governments of France and Sweden, the European Commission, UN Environment and the project team. The Steering Group guides the project as a whole in strategic matters, provides advice on progress and key deliverables, supports the development of a long-term strategy, and the positioning of the Forum in relevant global ocean governance processes. Ann-France Didier is Special Adviser for Regional and Local Governance and Co-ordinator for SDG14, Ministry for the Ecological and Inclusive Transition, France. 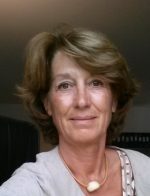 Anne-France was in charge of the “Plan Bleu” in 2006, one of the regional activity centers and part of the UN EP/MAP system for the Barcelona Convention. From March 2013 to January 2016, she was the director of the DREAL (regional direction of the Ministry in charge of Environment, Energy and Sustainable Development) in Provence Alpes Côtes d’Azur and, from February 1998 to September 2004, she was the Director of the DIREN (regional Direction of the French Ministry of Environment) successively in the West indian Ocean (Reunion Island) and South France (Provence Alpes Côtes d’Azur). She also managed the transition to a sustainable development, teaching a programme and the e-learning of the french technical high school ENTE in Aix en Provence during 8 years. Jacob Hagberg is Scientific officer at the Swedish Ministry for Environment and Energy where he is the Swedish Head of Delegation at the Baltic Marine Environment Protection Commission (Helcom), coordinates the EU Marine Strategy Framework Directive and handles issues related to environmental effects of fisheries. He is also Swedish Commissioner at the International Whaling Commission. 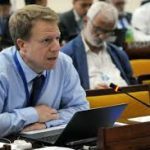 Jacob has a background in marine ecology and fisheries research and has previously worked at the Swedish Environmental Protection Agency and as international fisheries policy expert at the South East Asian Fisheries Commission (SEAFDEC) in Bangkok. He has also been involved in the UN Ocean Conference on SDG14 and the GPA process of UNEP and was engaged in the last revision of the EU Common Fisheries Policy. Heike Imhoff is Head of Division „Protection of the Marine Environment“ in the German Federal Ministry for the Environment, Nature Conservation and Nuclear Safety. 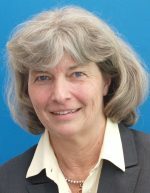 She is the German EU Marine Director, bearing responsibility, i.a., for the European Marine Strategy Framework Directive as well as for regional vo-operation under OSPAR and HELCOM. For several years she has served as the German Head of Delegation to the Helsinki-Commission (HELCOM). At the global level Ms. Imhoff has been involved in the UNICPOLOS Process, the Rio+20 Conference, the UN Ocean Conference on SDG 14 and the Our Ocean Conferences. During the German G7 and G20 presidencies she has been leading the German G7 and G20- activities on ‘Marine Litter’. Matjaž Malgaj is Head of Unit for Marine Environment and Water Industry at the European Commission. He is in charge of the European Union’s marine environment policy and serves as Head of European Union delegation to OSPAR, BARCELONA and HELCOM conventions. In 2016-2018 he was a vice-chair of HELCOM. Mr. Malgaj is also strongly involved in global efforts to promoting effective regional oceans governance, for example in the European Union’s Oceans governance Initiative, the 2017 UN Ocean Conference and the Sustainable Oceans Initiative. Previously he served in various leadership and advisory roles in the European commission, including as a Head of Cabinet of Commissioner for Environment. 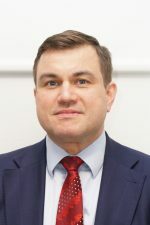 Between 1999 and 2004 Mr. Malgaj worked for the Government of Slovenia on country’s accession to the European Union and the European Economic Area. Mr. Malgaj has a degree in law. He studied at Central European University in Budapest (HU), UC Berkeley (US), University of Amsterdam (NL) and University of Ljubljana (SI). 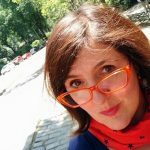 Marijana Mance is Policy Officer in DG Environment of the European Commission, working on International Ocean Governance and ocean-related Agenda 2030. Her specific focus is regional level and cooperation with Regional Seas Conventions as well as interaction of regional and global levels. She is a part of the EU negotiating team on sustainable development and oceans issues. Before that, she worked as a Head of Multilateral Affairs – Global Issues Division of Ministry of Foreign Affairs of Croatia and a Director for Sustainable Development and International Relations in the Croatian Ministry of Environment. From 2011 to 2013 she was Croatian chief negotiator for the Rio+20 conference and a Head of HR Delegation at the meetings of parties of a number of Multilateral Environmental Agreements. 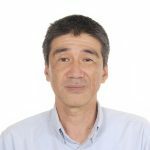 Takehiro Nakamura is Chief, Marine and Coastal Ecosystems Unit, Ecosystems Division, United Nations Environment Programme. He has been promoting adoption of an ecosystem approach at local, national and regional levels, particularly to aquatic systems, including regional seas. He has been instrumental in building and reinforcing regional seas programmes and their operations. He was a senior officer leading the team of experts for the UN Environment Programme’s portfolio of Global Environment Facility International Waters projects. Recently he has expended his area of work to include exploring issues related to marine biodiversity in areas beyond national jurisdiction, particularly the application of area-based management tools in these areas. He holds a Doctor of Global Environmental Studies from Kyoto University. Ingo Narberhaus is deputy Head of Division “Protection of the Marine Environment” in the German Federal Ministry for the Environment, Nature Conservation and Nuclear Safety. 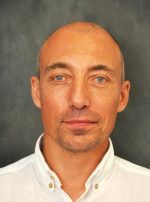 Among other things, he acts as the German Head of Delegation to the OSPAR Commission for the Protection of the Marine Environment of the Northeast-Atlantic and he oversees the DE activities in the EU-level ‘Common Implementation Process’ for the EU Marine Strategy Framework Directive and its implementation in Germany. At the global level, Ingo Narberhaus is involved in the development of a deep sea mining regime through the International Seabed Authority, in the SDG14 follow-up process (UN Ocean conferences), he serves as National Focal Point for the UN Regular Process (World Ocean Assessments) and is supervising for BMU the PROG-MRF project. 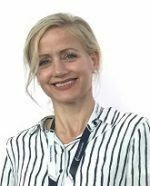 Lisa Emelia Svensson has over 18 years of international experience working in the public sector on a broad range of sustainability issues. She is a trained diplomat with a PhD in political economy and has been in the Swedish Foreign Service since 2002. As a national expert on sustainability to the EU, she was the lead negotiator for the sustainable development chapters in EU´s Free Trade Agreements for ASEAN, MERCOSUR, the Economic Partnership Agreements and the Partnership and the Partnership Cooperation Agreement with China. As Ambassador for Corporate Responsibility starting in 2010, she engaged with private sector to enhance public-private partnerships. As Sweden’s Ambassador for Ocean, Seas and Freshwater she initiated and expanded the international foreign policy’s and put Sweden on the map in the ocean community. Moving to UN Environment she is currently the UN Environment’s Ambassador for Ocean, where she leads the work on global ocean issues; addressing marine pollution, coral reefs, sustainable blue economy, ocean interlinkages to climate change and ocean governance.